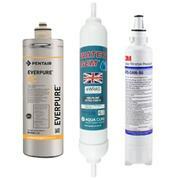 Here at Andrew's Water Treatment we supply water filters from many of the leading manufacturers in the industry, including Everpure, Doulton, Aquamaster, 3M, Hydro+, Brita, Water Gem and many more. 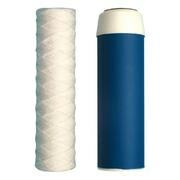 We also have access to a much wider range of filters than we display on our website - so if you can't find the replacement filter you're looking for, please don't hesitate to get in touch. 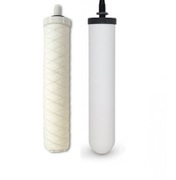 Our staff are all highly experienced, so if you're not sure about the brand or model number of the water filter you need, please contact us and we will be more than happy to help. 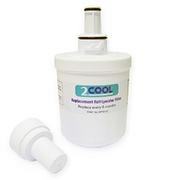 If you are unsure what water filter system you currently have, please feel free to email us a picture and we can help identify it. 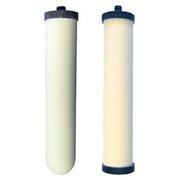 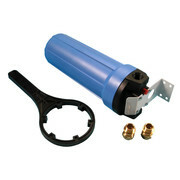 View our range of water filter below by shopping by either filter type or filter brand.